Fashion and trends keep on changing and fashionistas across the globe make sure that that they are able to follow the latest one. But who sets a fashion or a trend? Is it the fashion designers, the leading models, sports persons, business tycoons or a film star? The answer clearly depends on one’s personal interest and choice. You may love to follow Cristiano Ronaldo’s style but your closest friend may find Johnny Depp more fashionable. They way these personalities dress and carry themselves influence our taste of fashion and style. Fashion is what you practice, whether it is clothing, make up, footwear, body piercing and so on. Some fashion trends stay for a long time and some vanish in a very short duration. Sometimes what stays is the name associated with it. 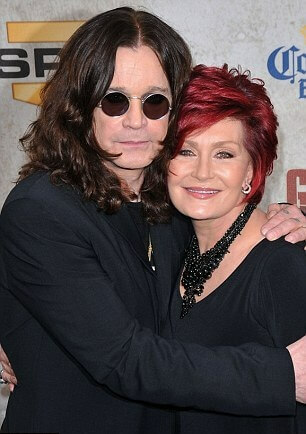 You can neither imagine Ozzy Ozbourne without his sunglasses nor can you imagine David Beckham with his unique hair styles. Sunglasses and eye wears have been a major fashion accessory since its inception. It attracts a lot of users because of its ability to serve dual purpose, fashion and protection to the eyes. The names of world’s famous celebrities have been closely associated with this fashion accessory. Here we discuss some of the celebrities who made sunglasses or eye wear their consistent fashion partner. 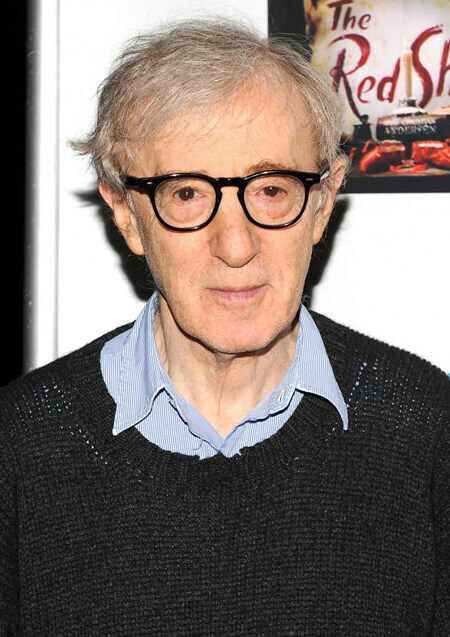 The legendary British singer and occasional actor holds unbeatable top position if love for eyeglasses is counted by the number of pairs you have. 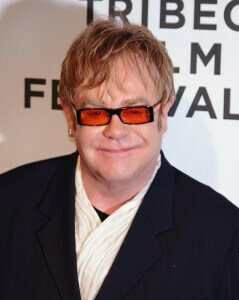 He has around 250,000 pair of glasses and he never misses to match his eccentric outfits with his glasses. On an interview, he admitted that he was never interested in gadgets and internet and does not have mobile phone or a computer. His love for sunglasses is undoubtedly unmatchable across the world. The renowned German fashion designer, artist and photographer has his own label fashion house and is one of the popular sunglass lovers in this world. Mostly seen in dark suit and dark sunglasses, this famous personality made Karl Lagerfeld designer sunglasses a successful initiative. The founder of Beatles undoubtedly inspired frames among men across the world. 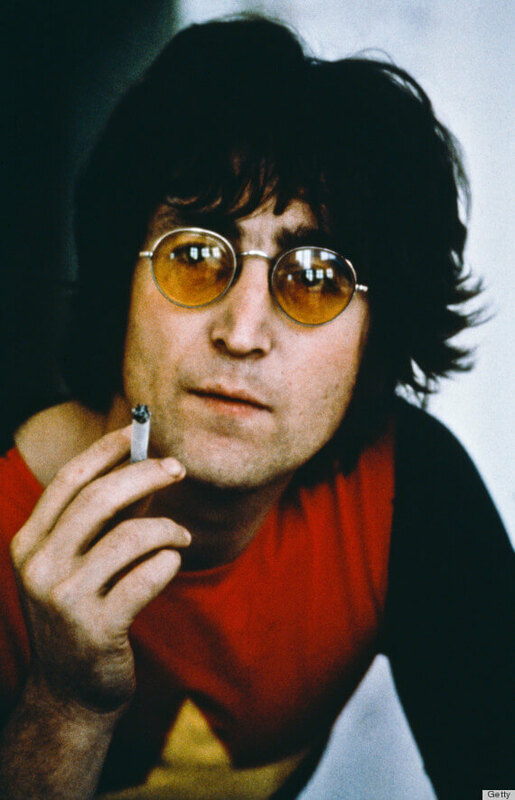 An icon for innumerous musician across the world, Lennon always preferred round shaped frame for his eyes. 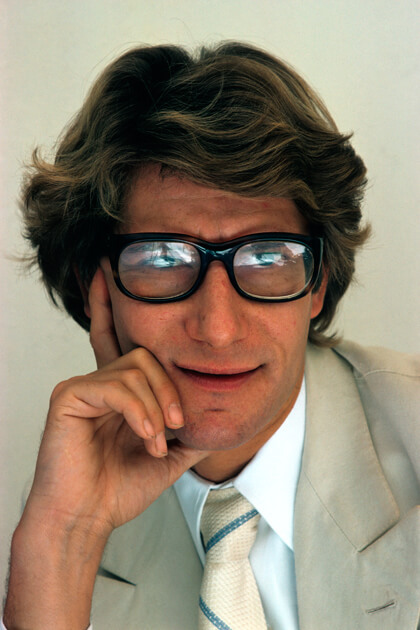 His iconic look would not be complete without his distinctive round shaped glasses. Kayne West and shutter shades glasses are inseparable. 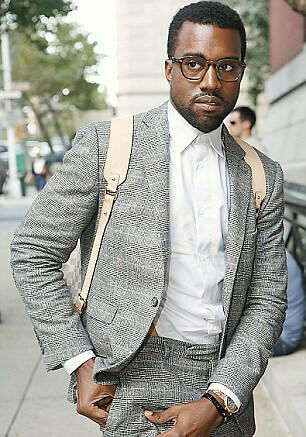 Besides being a world famous hip hop singer, he is also a fashion designer from Chicago. He has set a unique fashion statement with his shutter shades glasses. This renowned French fashion designer is regarded one of the greatest and biggest names in the history of fashion. YSL glasses and frames is a popular name among those who love this fashion accessory. His glasses and eyewear were a must in his style statement. The popularity of nerdy dark-rimmed sunglasses clearly goes to this legendary figure. His work as screenwriter, author, director, actor and musician has inspired many across the world and so did his famous glasses. 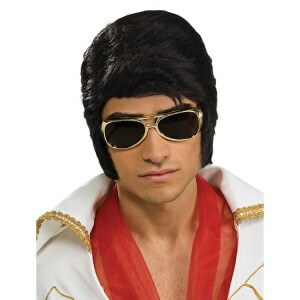 The King of Rock and Roll is widely known for his love for his glasses and sideburns. It became a major fashion trend for his innumerous fans across the world. This cultural icon of the 20th century has been a huge motivation to music aspirations. Talking about hip hop culture would be incomplete without mentioning about Run–D.M.C. Their style depicted utmost coolness and poise. 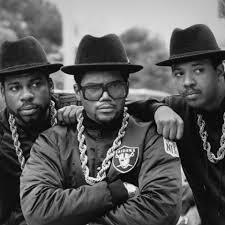 Run DMC glasses, clothing, footwear accessories is widely acknowledged. This God of Heavy Metal needs no introduction. His fan base is extensively spread all over the world. His round shaped black glasses has always been his favorite companion and an Ozzy Osbourne sunglass is a brand that all age groups love to get associated with. These leading personalities have influenced and inspired billions across the world and so did their fashion and style statement. Sunglasses and eye wears have become every fashionistas best friend.